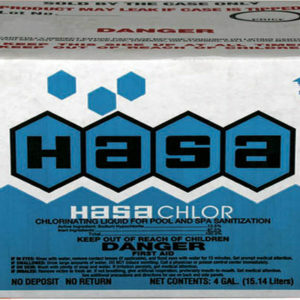 The 1 Gal HASA 4×1 Liquid Chlorine is the purest, strongest, and fastest working liquid chlorine available. Up to 25% stronger than other leading brands. Available Sizes: Disposable 2/1 and 4/1 case, returnable 4/1 case, 4/1 gallon returnable bottles and case. Category: Chemicals. Tags: Chlorine and Acid, Liquid Chlorine, Pool Adjuster, Pool Chemicals, Pool Maintenance, Swimming Pool Adjuster. 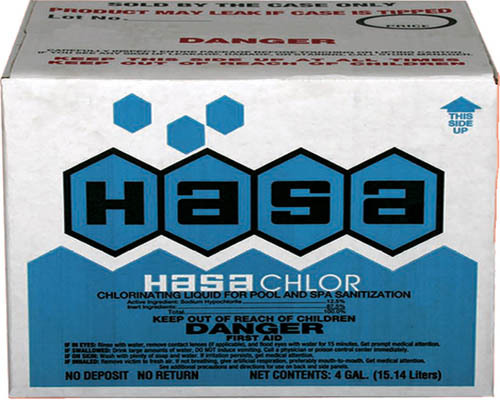 The 1 Gal HASA 4×1 Liquid Chlorine is the purest, strongest, and fastest working liquid chlorine available. Up to 25% stronger than other leading brands. HASA liquid chlorine is a sodium hypochlorite solution, marketed for use in the treatment of water in swimming pools, spas, and hot tubs. With the one exception of chlorine gas, it is the least expensive form of disinfecting swimming pool upon application destroying algae, bacteria, viruses, and other micro organisms. Do not adjust pH and chlorinate at the same time. Always adjust pH first, when pH is between 7.2-7.6, then adjust chlorine level to 1.5-3.0 ppm. Whenever chlorine residual is adjusted, allow filter and pump to run at least two hours after addition of chemical. Stabilizing or “conditioning” pool water with HASA Pool Conditioner (cyanuric acid) will protect chlorine from being destroyed by ultraviolet radiation from the sun. Cyanuric acid levels should be maintained in 60-80 ppm range. Follow label instructions on how to achieve proper level of cyanuric acid. HASA liquid chlorine is generally added directly to pool or spa water. Outdoor pools must be stabilized with HASA Pool Conditioner to protect chlorine from the UV rays of the sun. Eleven (11) ounces of HASA liquid chlorine will provide approximately 1.0 ppm available chlorine in 10,000 gallons of water. 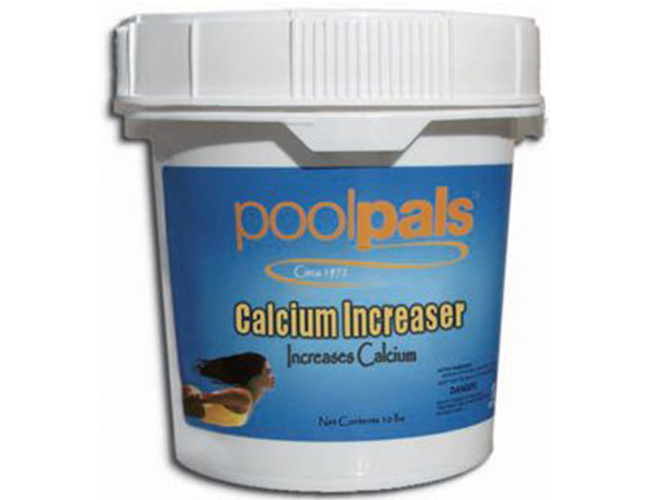 Maintain chlorine residual between 0.6-3.0 ppm in an unstabilized pool and between 1.5-3.0 ppm in a stabilized pool. HASA liquid chlorine mixes instantly with pool and spa water. Disinfection starts immediately upon application destroying algae, bacteria, viruses, and other micro-organisms. 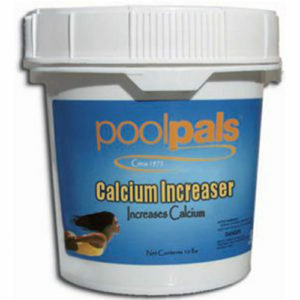 To shock a pool, add one gallon HASA liquid chlorine per 10,000 gallons of pool water. 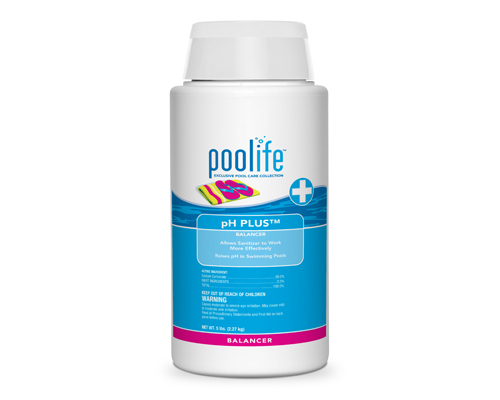 Available chlorine should reach a level of 10-15 ppm for superchlorination. Swimming should be restricted until the free available chlorine residual has returned to normal maintenance levels. 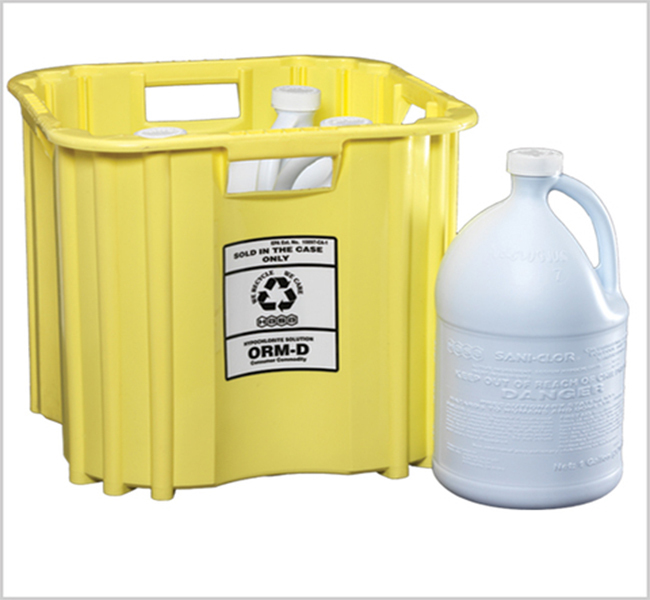 Available in a disposable 2/1 and 4/1 case, returnable 4/1 case, 15 and 53 gallon drums. It is even more economical in the 4/1 gallon returnable bottles and case. Using recyclable plastic bottles and cases saves the cost of expensive packaging which normally is thrown away.